Looking for Townhome and Condo Communities in New Providence, Summit and Westfield New Jersey? 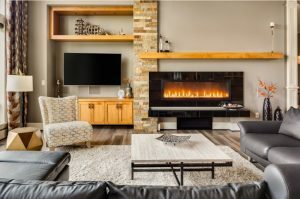 Union County NJ has a few options when it comes to Townhome and Condo Communities in New Providence, Summit and Westfield with the perfect floor plans and amenities for your needs. They offer everything from starter condos and townhomes to Luxury Condos and Townhomes with Community Amenities such as Fitness Center, Club House, Swimming Pool, and many different activities/clubs to keep you busy and make friends. The other advantage is that all of your Exterior Maintenance like Lawn Maintenance, Common Area Maintenance and Snow Removal is all included in your Monthly Dues making it a Great Lifestyle. Here is a List of All Condo and Townhome Communities in New Providence, Summit and Westfield, NJ. If you are interested in Townhomes or Condominiums in New Providence, Summit and Westfield New Jersey, please Contact Us at 973-615-6504 or 973-953-7777, so we can give you more details about each of these communities.